I love oatmeal. I'm also the kind of person who gets into this weird routine and has the same thing for breakfast for a month, only to switch to something else and have that same thing for a month. 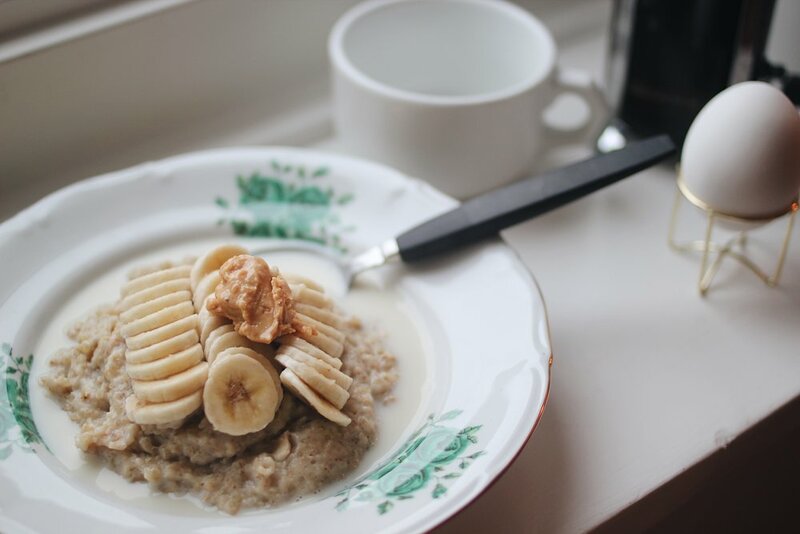 It used to be (copaca)banana pancakes, then chia pudding, now it's oatmeal. 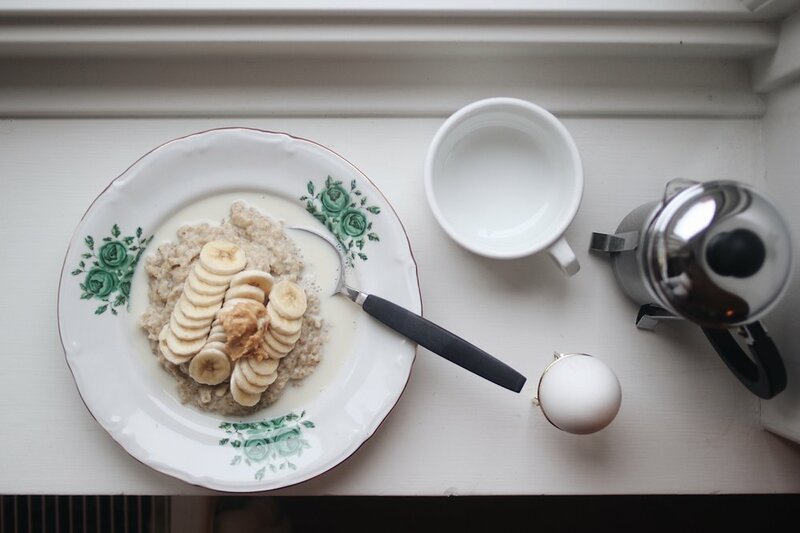 Luckily, there's a bunch of ways to vary your oatmeal. This is one of my favourites. Probably because I really like the combination of sweet and savoury. The evening before, add 1 dl oats, 0,5 dl white quinoa and 0,5 dl chopped cashews to a bowl. Soak with 4 dl oat milk or almond milk. Or regular milk. (We've also tried coconut milk with a less successful result). Cover and put in the fridge over night. In the morning, slowly cook the oatmeal and serve when the quinoa have softened. 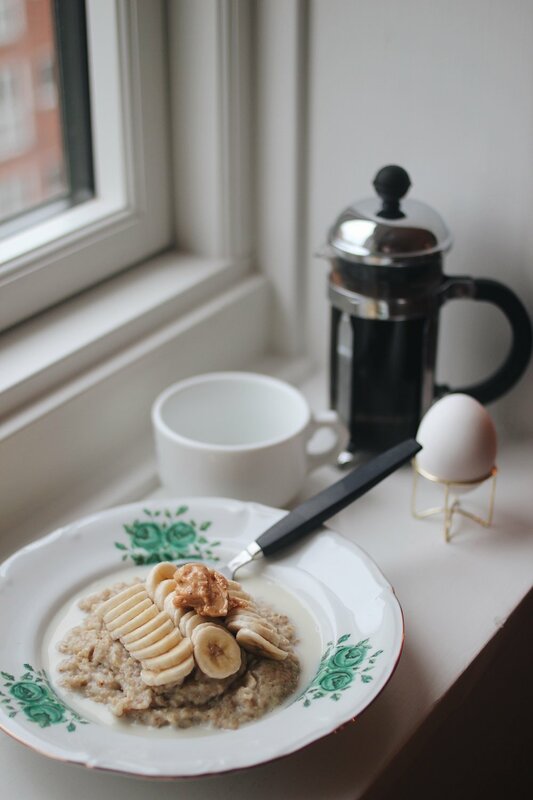 Top with what ever you like, and add more oat milk if you please. I've started adding banana and peanut butter to my oatmeal and I probably won't stop. 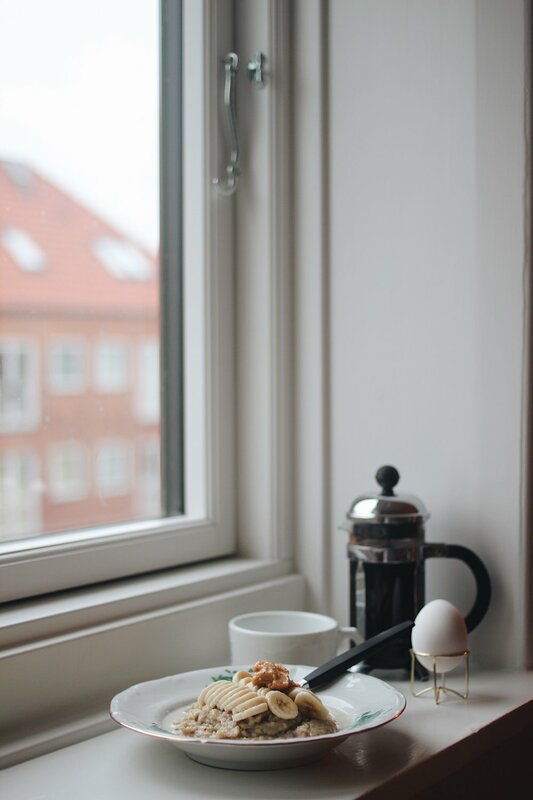 Also, the only way to get decent (natural) photo light these days is to pretend you have your breakfast in the window. I obviously don't, but am seriously longing for the longer days. P.S! Get the plate here. D.S!